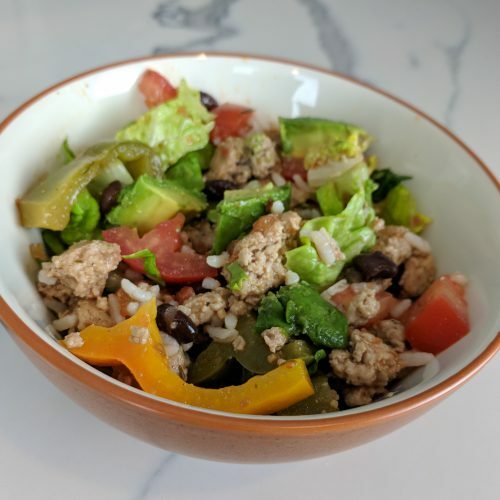 This burrito bowl recipe is hearty, filling and won’t leave you feeling gross like other Mexican fast food! This best part? 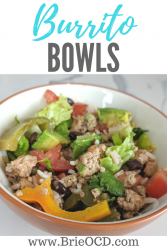 This burrito bowl recipe is completely customizable to your taste buds and dietary needs! It takes about 20 minutes to get everything chopped, diced and cooked! After that it takes less than 5 minutes to put these bowls together for your daily consumption. I put all of the ingredients in their own Tupperware as I chop, dice, saute. Then I store them all in the same part of the fridge so its easy to prepare for my weekday meals. This bowl can easily be tailored to your dietary needs. 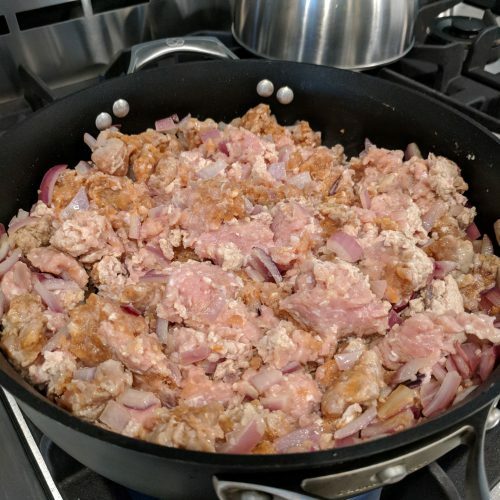 It is Gluten-Free and can easily be made vegetarian by leaving out the ground turkey and adding in some tofu or even swapping out the white/brown rice for quinoa. 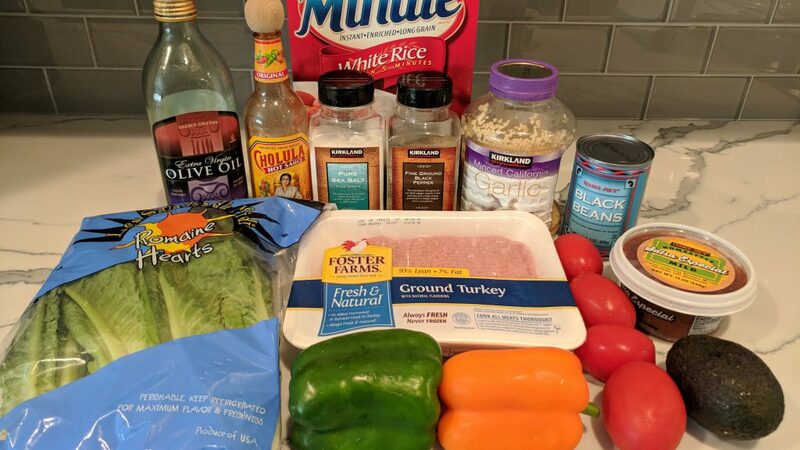 To that same token, you can swap out the ground turkey for lean ground beef or grilled/shredded chicken or even pulled pork. The options are endless! My burrito bowl is quite hearty and fills an entire 1.2L Tupperware. It has 465 calories, 17g fat, 40g carbs and 36g protein per serving. 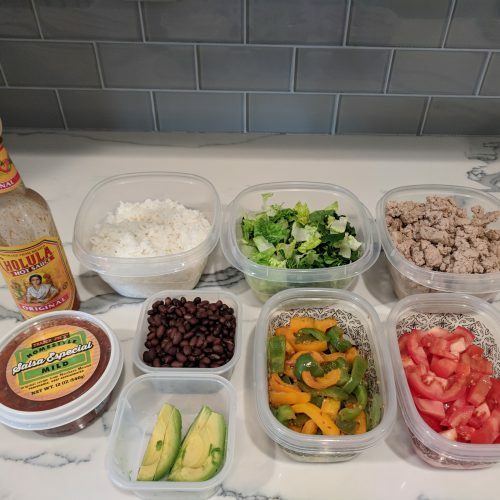 Those stats are based on 5oz ground turkey, 1/2c rice, 1/4c beans, 1 roma tomato, 1/4 of bell peppers, 1/4 avocado, 2tbsp salsa and however much cholula your heart desires! Lets compare these stats with Chipotle’s burrito bowl. One serving at Chipotle has 630 calories, 19g fat, 74g carbs, 38g protein. Chipotle is actually one of the healthier fast food chains but even so, looking at the stats is an easy way to illustrate how making your own food is much healthier! 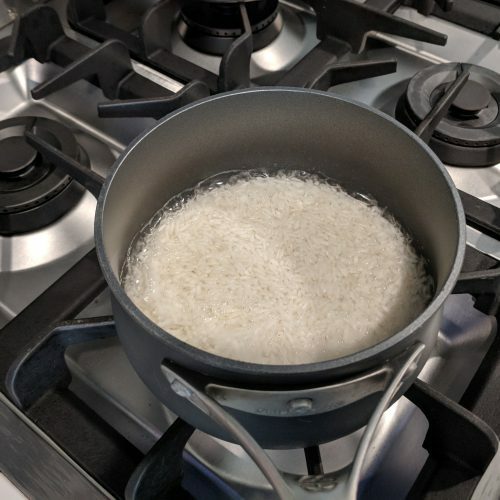 The best part of making your own food is that you can easily cut the carbohydrates by removing/reducing the rice and you can easily cut the fat by removing the avocado. Have you ever been to Chipotle and said “just a little bit of rice” and all of a sudden you have the entire bucket in your bowl? Thought so! make rice or quinoa according to package instructions. set aside in a Tupperware. slice bell peppers. heat olive oil In a medium saute pan over med-high heat for about 30 seconds. Add garlic and saute for another 30 seconds. 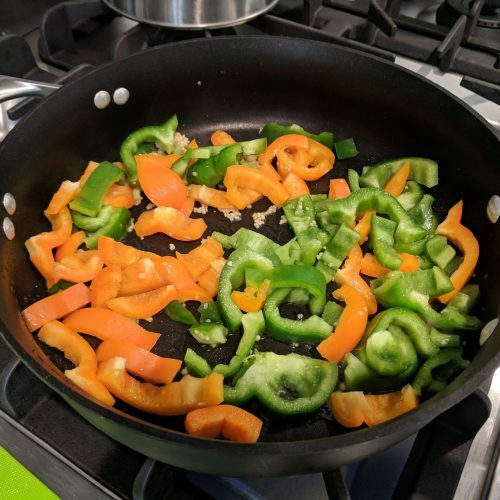 Add bell peppers and cook for approximately 4 minutes or until tender. Set aside in a Tupperware. 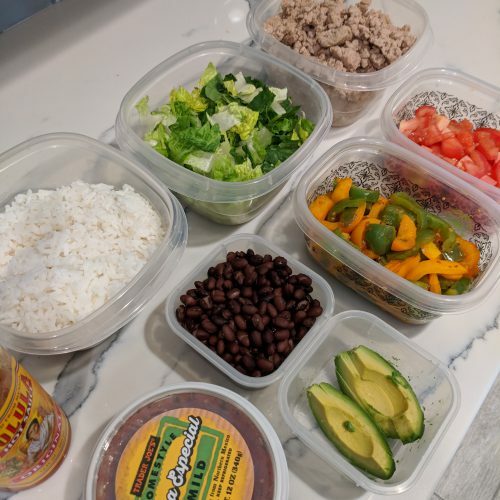 while peppers are cooking, chop lettuce and tomatoes, drain & rinse black beans, slice avocado and set each aside in its own Tupperware container. after peppers are done and set aside, add ground turkey to saute pan. add salt and pepper to taste and 1/4-1/2 of a taco seasoning packet. Stir occasionally. cook until no longer pink approximately 4 minutes. drain and set aside in Tupperware. 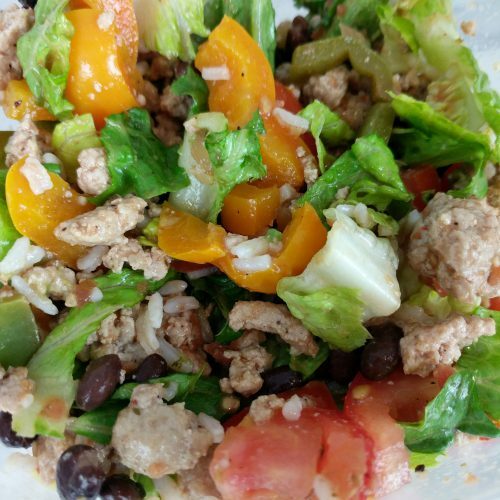 compile your burrito bowl by adding all ingredients to a bowl! top with your favorite salsa and hot sauce. enjoy!